Before our bedroom felt like it was lacking something. I liked everything in there, but just felt it needed a little more drama. I really like the wall quote that was above our bed, but I got it crooked when I applied it and it has always bugged me. 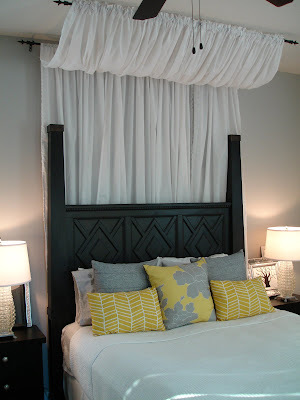 I have been seeing lots of beautiful canopy beds with luxurious fabric and it got me thinking. First, I tried to convince my husband to let me find a four poster bed on craig's list but he didn't go for that. So, I figured I would just make a small canopy above the bed. and here it is now. I would love a beautiful chandelier in our room but the fan is definitly more functional and practical. Anyways, I just bought 2 curtain rods from IKEA for $7.99. I attached one to the ceiling and one to the wall. Then I hung four curtain panels on the rods (also from IKEA) and now for under $50 I have a canopy! You could of course make your own panels out of material, but these curtains were $14.99/pair. I don't think I could find material for that and then I would have to sew it too. I'm pretty happy with the way it turned out. It really adds a lot to the room and makes everything seem more grand. 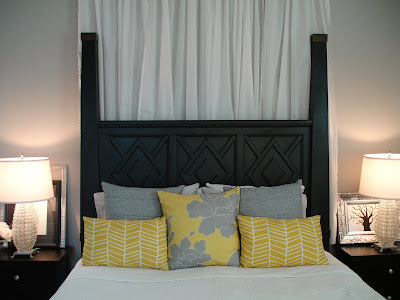 If you need additional info with more specific instructions on how I hung this then check out this updated post with more instructions. Thanks! Oh that looks sooo pretty! 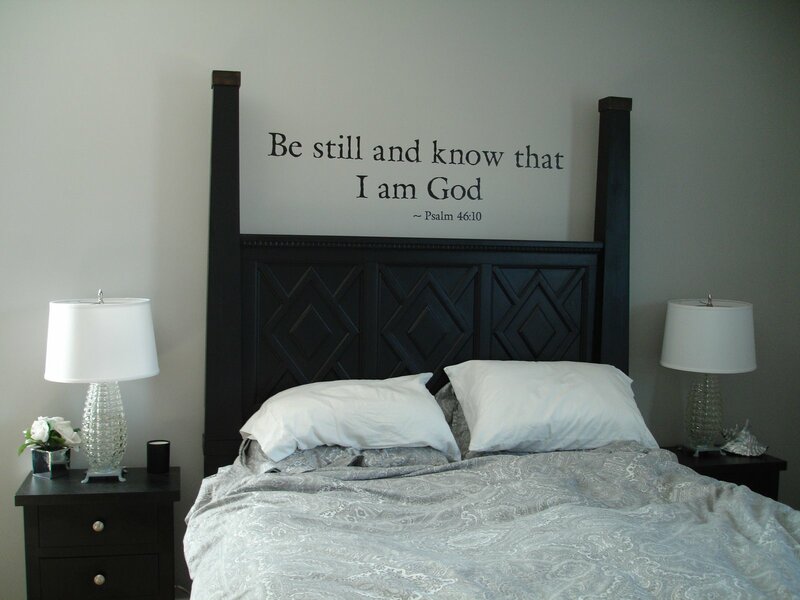 gives me a grand idea for my guest room! also, could you please tell me the diameter of the two vases you used on a previous post. you had one inside the other with limes (or maybe lemons...) between the two vases. i would like to do something similiar for reception centerpieces. thank you...love your projects and your blog! That is so cool, it adds a lot to the room. I will attempt to try this!! I was just scrolling through and admiring everything when I saw the verse about the bed. Psalm 46:10 is my absolute most favorite, most turned-to scripture. I just lost a friend this week to a sudden death, and it has been a comfort once again. But I do love the changes to the room. It's beautiful! How are the panels attached to the second rod? It looks like you have all four panels strung on the first rod, but then somehow they are also strung onto the second rod ... did you sew a second loop after measuring out how much material you wanted to have hanging? Can you explain how you attached curtains to rods to hang properly?. Love this! The canopy is awesome. how did you attach the second rod to the ceiling without the rod falling out of the brackets? I love the canopy and have been crushing on it for a long time. I think it looks so great. 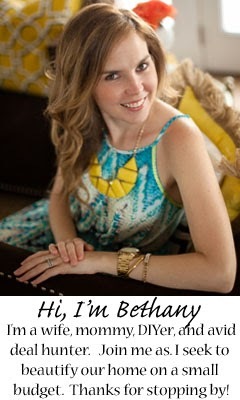 I blogged about it today and I hope you will come and check it out. Oh gosh, I love this! Do you think it would still work if I didn't have a headboard? 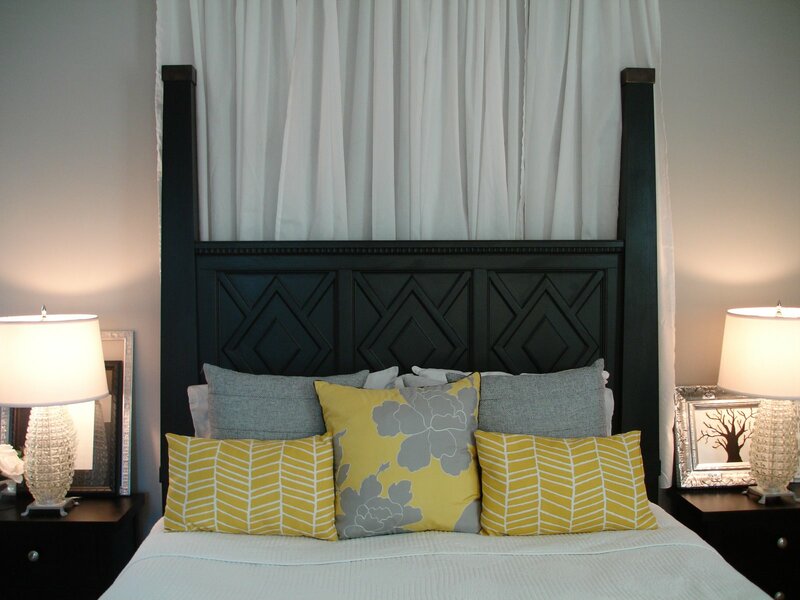 Like to just leave the extra fabric behind the pillows? You think that would mount okay? Did you hang 2 curtains on each rod? 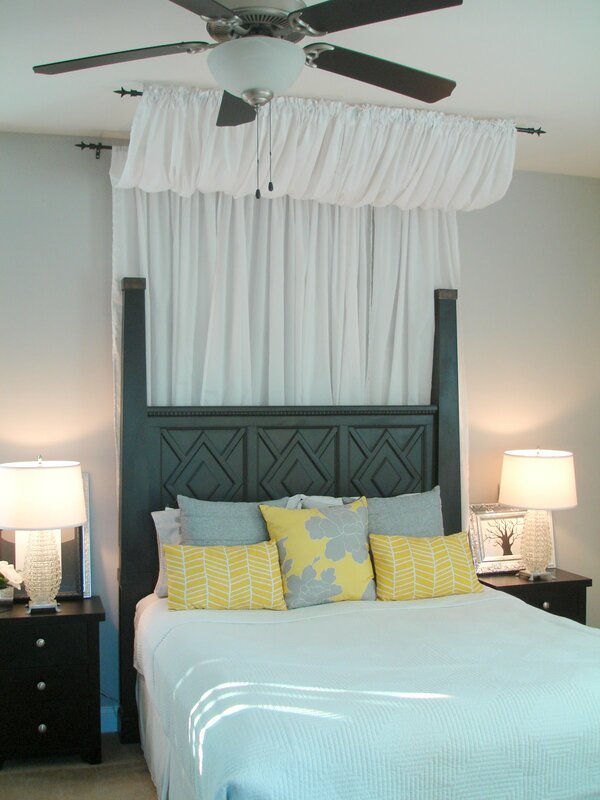 or 4 curtains on the ceiling and then made the draped. Can't figure out how you hung the curtains on the ceiling rod and the wall rod at the same time HELP! I love this! What size curtains did you use?